Well, the entire town seems to be doing fire clean up. 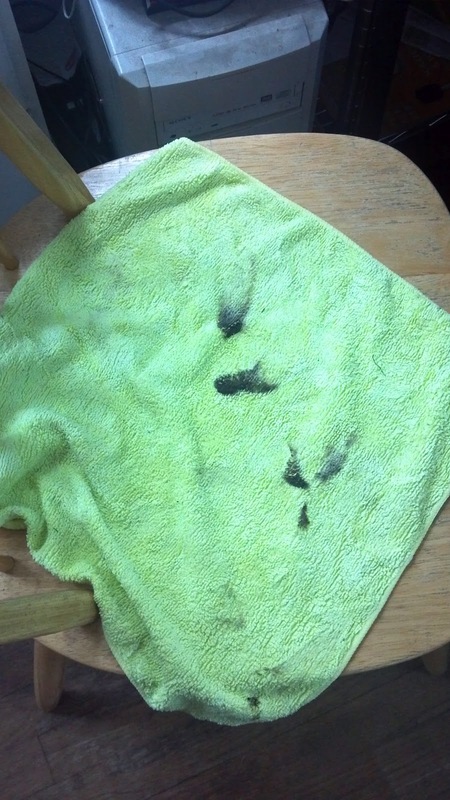 I had been thinking that the dust was heavier than usual until I touched a microfiber dust cloth to it. As it turns out, it is smoke residue. Everywhere... just everywhere... having to rewash the entire house is going to be a chore. The heat wave still seems to be with us and the temperatures remain in the high 90's to low 100's. So the M.S. is really getting in my way. I have spent most of the last three days in bed on pain medications. So I am having no fun at all. I am getting some knit dishcloths done though. Here is a picture of the yuck that is coating the town. Ewwww! I think you can see my finger prints in it!